Jessica joined Sylva Family Practice in 2014. She grew up in Indiana and moved to WNC in 2005 with her husband Matt. Jessica and Matt have a 3 year old son and are enjoying being parents! 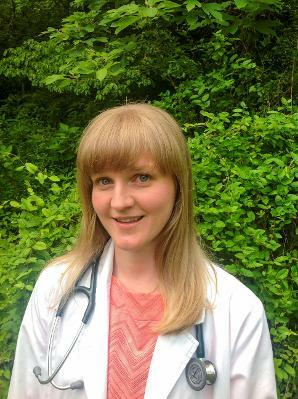 Jessica entered nursing school and obtained her AAS at Southwestern Community College and went on to obtain her BSN and MSN at Western Carolina University. She has worked at Harris Regional Hospital as an RN on the Women and Children’s unit for 6 years. Prior to nursing she worked at Mountain Discovery Charter School and Jackson County Psychological Services. She is a member of the North Carolina Nurses Association and the American Nurses Association. Jessica's hobbies include knitting, backpacking, mountain biking and trail running.